Please use the interactive map below to find directions to Shady Oaks Campground & RV Park. 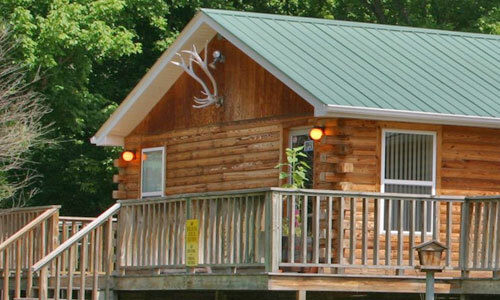 Shady Oaks Campground & RV Park is located in Harrison, Arkansas, in the heart of the Ozarks. Popular activies include great motorcycling, canoeing, kayaking & rafting, hiking, exploring caves, swimming in lakes and rivers, hunting, fishing and fly fishing, biking, rock climbing and horseback riding. 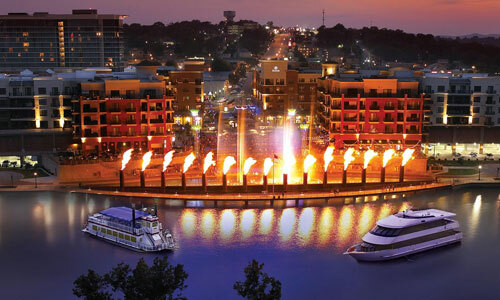 Mountain View, Arkansas and Branson, Missouri make the perfect day trip. 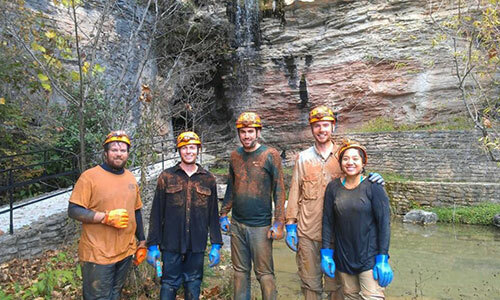 Experience a once-in-a-lifetime caving adventure through two of Arkansas’ most spectacular caves, Mystic Caverns and Crystal Dome Caverns, located in the heart of the Ozarks of Northwest Arkansas. You will follow the path the first settlers to this area traveled as a trained guide escorts you on your tour through Mystic. In Crystal Dome you will explore a cave in its pristine form, and see the spectacular eight-story dome. 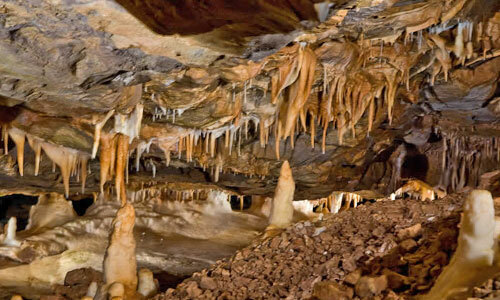 Guided cave tours leave every 35 - 45 minutes. Exploring the natural wonders of Hurricane River Caverns, deep in the Ozark mountains, is an excellent way to spend quality time with your family and loved ones. 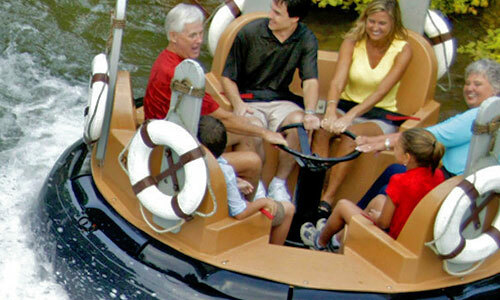 Hurricane River Caverns offers you the time of your life, with a choice of four different tours: our regular self-guided cave tour, and three guided, extreme cave tours. 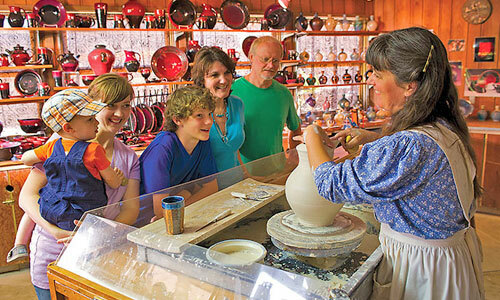 The wild tours are guided by highly trained and knowledgeable tour guides. Equipment is provided, such as caving helmets, headlamps, knee pads, and gloves, to ensure your safety. Rivers to be floated, trails to be hiked and biked, trophy fish waiting to be caught; you can find it all in Mountain View, Arkansas! 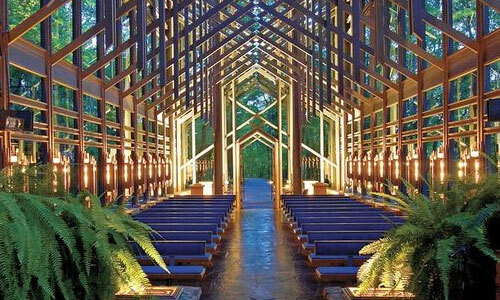 Your Ozark vacation destination is Mountain View, Arkansas where you can experience scenic natural beauty, exciting outdoor adventure and explore the unique Ozark culture. 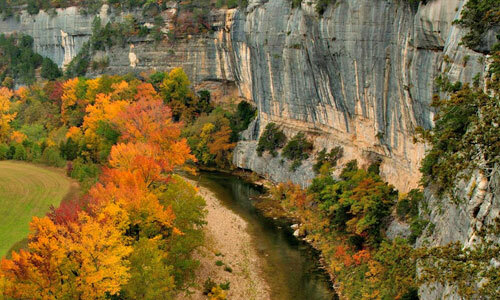 Mountain View is located deep in the Ozarks surrounded by mountains and rivers. Staged in an outdoor amphitheater, the multi-level set, special lighting and sound effects, live animals, and a cast of 150 Biblically costumed actors come together to create the thrilling epic drama of Jesus Christ’s last days on earth. 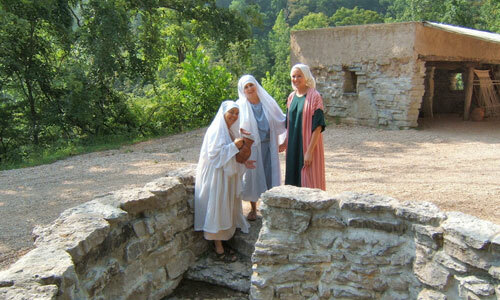 This Christian attraction has been performed since 1968 in Eureka Springs, Arkansas. The Holy Land Tour includes walking through a life-sized replica of the Eastern Gate in Jerusalem into an authentic Marketplace, you will feel as if you are in the actual Holy Land. Silver Dollar City is an internationally awarded 1880s-style theme park located in Branson, Missouri, that features over 40 thrilling rides & attractions, live shows & concerts, 100 resident craftsmen demonstrating America’s heritage crafts, award-winning food and 60 unique shops – all sitting atop one of Missouri’s deepest caves. World-class festivals and events are showcased from spring through Christmas - during which the park is illuminated with over 6.5 million lights! 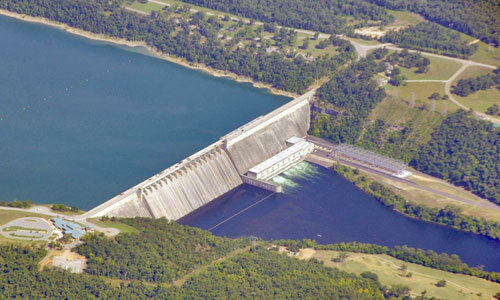 With over seventy-four square miles of water and over 1,050 miles of shoreline, Bull Shoals lake is the largest lake in Arkansas. Whether visiting Bull Shoals Lake for the world renowned bass fishing, or bringing the family for a relaxing weekend of watersports and boating on the lake, you won’t have too much trouble finding a secluded spot on the water. Quiet coves are abundant, and the fish are too! 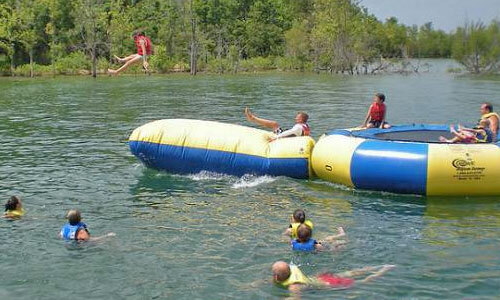 Bull Shoals Lake is great for wakeboarding, skiing and tubing with low boating traffic and wide channels. Nestled near one of the hottest tourist towns in the United States, Table Rock State Park serves as Branson’s natural attraction. State Park Marina rents everything from ski boats to paddle boards and offers all the supplies you will need. You can also take a hike or go for a bicycle ride on a paved trail or a challenging mountain biking trail. 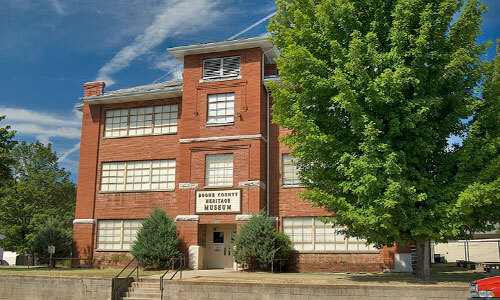 The Boone County Heritage Museum is located in Harrison and sponsored by the Boone County Historical & Railroad Society – a non-profit organization devoted to the preservation of the historical heritage of Boone County, Arkansas. Hundreds of collections and exhibits on three floors include a railroad showroom, genealogy records and library, Civil War exhibit, Mountain Meadows Massacre collection, VFW collection, medical room exhibit, an old post office and much more.